Looking for quiet beachfront homes for sale in Strathmere NJ? Looking for a hidden jewel at the shore? Then Strathmere is where you need to be. From beachfront to the bayfront, all properties are within walking distance to the beach, back bay sunsets, and great restaurants like Uncle Bill's Pancake House and The Deauville Inn. Pristine, untouched nature and fishing locations! A true hidden paradise! Here all properties run on well and septic. Click above for all homes for sale in Strathmere, NJ. Let us know if we can help with any home for sale in Strathmere today! Strathmere homes for sale are our specialty. Below are just a few of the newest homes to hit the market. Our website provides you the ability to view all active homes for sale in Ocean City, Strathmere, Sea Isle City, Avalon, Stone Harbor, Wildwood, and Cape May. The site is easy to use for all your property search needs. Featuring the best foreclosures, bank owned homes, land, and homes for sale at the Jersey Shore. Contact us! Sign up to the right to receive free daily email alerts as they hit the market. Click below for some of the latest homes for sale in Strathmere NJ, including all new construction in Strathmere, Strathmere NJ Short Sales and Strathmere, NJ Foreclosures. Bookmark this site and sign up now for full access and to stay current on the latest new listings in Strathmere. 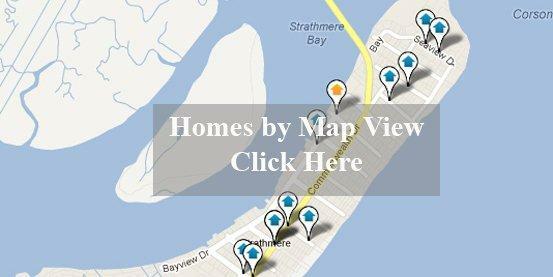 Click the map below to view all homes for sale in Strathmere NJ!